Alan Levine offers this microtale of American Gothic, “A Model City“, using the Cowbird digital storytelling service. Look at how neat the mayor’s house is, with the shiny brick facade and the rows of roses down the path. Out in the shed is a table with a note and a rope tossed over the rafters. Emily Nussbaum sings the praises of cliffhanger narratives, from early film serials to tv soaps. It’s a celebration of the segmented form (which I touch on in chapters 3+5). I discuss CYOA books in NDS, chapter 9. Weirdest Twitter story: a madman wrote a fanfiction epic based on Harry and the Hendersons (1987). It is very odd. [A]fter Harlod leaves the Hendersons—or what’s left of them, in the wake of his rampages—behind, he squares off against an antagonist (the mysterious “Grey Man,” who captures the beast for nefarious purposes) and hooks up with a sprightly gang of benevolent forest creatures, at which point the tale’s tone pivots from nightmare bleakness to guarded optimism. Can we Twitter a novel? The Jane Austen fan production A Ball at Pemberley (2011) proves it’s doable. “T]ogether, tens of people from six continents would go on to write a 100,000-word novel!”, they explain. 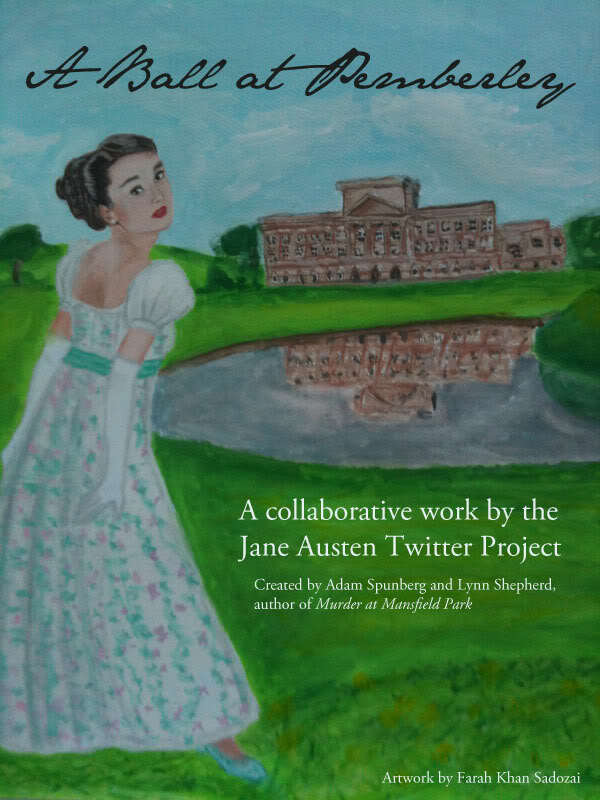 It is a truth universally acknowledged, that no diversion on earth so delights young people as the prospect of a ball, and a ball at Pemberley, that fine and celebrated house, in the beautiful county of Derbyshire, was a recreation devoutly to be wished! Janeites used the hashtag #A4T to identify novel bits. The Darcys were but lately married, and the ball was considered by the neighbourhood as the culmination of the wedding celebrations. Invitations were sent with dispatch, and many a young lady went to bed that night with her head full of happy cares. Many an older lady too, for the groom’s mother-in-law was perfectly convinced the ball was given principally for her gratification. Volunteers also read the entire thing, available for your listening pleasure. It’s useful to compare this to the Million Penguins wiki novel (my book, 66ff), which also succeeded quantitatively, but not qualitatively. One Pixar artist offers an interesting set of 20 storytelling rules. They are aimed at fiction, but most can be thoughtfully considered for nonfiction as well.